With Water Tower (formerly Water Tower Bucket Boys) and Henry Hill Kammerer (of Hillstomp). AMERICANA/FOLK-ROCK ONE MAN BAND, MCDOUGALL CELEBRATES RELEASE OF A FEW TOWNS MORE. On March 24, 2012, Portland, Oregon-based Americana/folk-rock one man band McDougall will celebrate the release of his sixth full-length, A Few Towns More, at Secret Society Ballroom. Doors at 8pm, show at 9pm. Tickets are $8.00 advance and at the door. Also on the bill are Water Tower (formerly Water Tower Bucket Boys) and Henry Hill Kammerer (of Hillstomp). On the title track to A Few Towns More, McDougall sings, “The road you chose might take you back to your front door, but it looks like mine’s gonna take me on a few towns more.” Telling the story of touring, human interaction, and sharing in life’s adventures, McDougall sums up his album on the final track, discussing the isolation and loneliness of touring alone, while also singing it’s praises, meeting new friends and new adventures in cities he plays. Equal parts folk, Americana, and old-time country, McDougall’s music conjures up images of sitting by a coffee-can fire in the middle of a dry California river-bed that then pulls you up on a freight train that travels through the lush spring-time of the Pacific Northwest, with you ending up rambling around the country with all your possessions on your back. McDougall wishes to keep to the unwritten rule of using what was left by those before while leaving something of your own for those who come after, as you exemplifies on A Few Towns More, an album that prevails with a message of hope throughout every journey. “As with all of my albums, there is an underlying message of hope. This one also deals with the responsibility each one of us has to take what we learn in life and share it with others, to find that place where we know we belong and can do the most good,” McDougall says, summarizing the album’s lyrical themes. A ten-track collection of dusty-trail Americana, it is hard to imagine that A Few Towns More is pulled off as a one-man-band live, McDougall handling either the guitar and banjo, while also playing percussion with his feet. Whether it’s the opener, “Coleraine,” a banjo-driven clap-and-stomp chant piece that wears its hymn-like vibe on its sleeve. Or the rambling rock of “Ready, Begin,” in which McDougall sings, “time for living, you know, moving and thinking. I felt the bitter cold air make me high. On your mark, get set, and back to the task. Before all your chances change their colors and die,” McDougall creates mood-elevating, hopeful songs that remind you that you’re alive. McDougall turns it down a few notches on the moonlit folk of “Evening Tide,” a ragged, yet mellow acoustic number that finds McDougall in a contemplative state. The high-impact banjo dance number “Cuttin’ the Grass/Tom and Willy Go To Town” is an instrumental that will make you get up and move, while creating the perfect soundtrack for the should-have-been theme song for the Oregon Trail. Abound with promise and adventure, even without words, McDougall can elicit feelings of a new life and excitement. On the gospel-folk of “When God Dips His Love In My Heart” McDougall challenges himself on this traditional number that his mother used to sing with his grandparents when she was a kid. “[The song] is about following solid examples of those who walked before us,” exclaims McDougall. Recorded in a barn during a Washington winter, at times McDougall found it too cold to even play his banjo. But he persevered and made it through, proud of what he’s accomplished with A Few Towns More. Now all McDougall has to do is hit the road and play these songs for fans, new and old alike, while hoping they find the songs encouraging, engaging, and fun. With artwork from Modesto-based folk-singer/tattoo artist Roy Dean, A Few Towns More is rooted in traditional, better meant for your stereo, with artwork in your hands, than your MP3 player. However, McDougall will take listeners any way we can get them. And, as he sings on “A Few Towns More,” “As we sing together each night in each town, old friends and new in the same room all let their problems down. And with our hands, feet, and voices proclaim, that every day doesn’t have to be the same,” McDougall hopes that his album will help you break up the monotony of every day life, helping you relax and enjoy yourself. Jack Wilson to release debut, self-titled full-length CD March 6th on Fluff & Gravy Records. 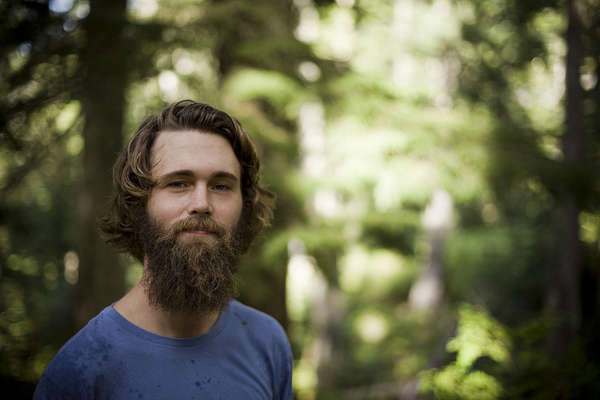 On March 6, 2012, Portland, Oregon-based Fluff & Gravy Records will release the debut, self-titled full-length from Austin, Texas-based folk-pop songwriter Jack Wilson. His debut bridges the gap between the folk-rock of Seattle (where he began his career as a full-time musician) and the acoustic music prevalent in Austin. Wilson, a songsmith able to pull off his live performances solo, or with a full-on rock band, says that is what he set out to do with this release. The result is the eleven tracks that comprise the album. Jumping from the nineteen electric guitars found on “The Cure,” a full-on rock number complete with a horn section, or the subdued, late-night folk of “The Truth,” the album travels the spectrum without sounding out-of-place, sloppy, or without direction. From album opener “Valhalla,” a love song about dreaming and keeping watch over a sleeping loved one, through “I’ll Do the Same,” about meeting an old flame many years down the line, Wilson weavers tales and melodies into earnest indie-Americana. There is the chilling indie-folk of “Red Feather,” haunting you with a slow melody, about a winter night in Seattle, seeing the good-luck bringing Red-feathered Cardinals, and the country-rock of “Black Hills Fiction,” a three part narrative about the huge humanitarian disaster that was the Black Hills Gold Rush, told by a native, a prospector, and a soldier. Wilson is able to tell stories, sing about his love and life lessons, all while giving the listener a musical journey that is anything but predictable. One of the album’s strongest songs is the alt. country kicker “Paying for Misery (Thanks to You)”, a song Wilson wrote as a homage to a train hopper and two folk singers that helped show him that working a menial job and squandering his musical career was never going to satisfy him. Suffice it to say, Wilson quit his job, wrote this song, and hit the road; putting everything on the line. Thankfully Wilson did this, putting his faith in his own music, and what would become the self-titled full-length. One of Wilson’s favorite songs on the record is “Valhalla,” a song he doesn’t even remember writing. Proud of his debut full-length, Wilson doesn’t take the sole credit. He is quickly eager to thank, and show appreciation, for all the players that made the record a reality. Now the only thing left for Wilson to do is continue touring in support of the album he put his heart and soul into.